Welcome, and thank you for inquiring about Toronto Limos 416, the premier limousine rental service in Toronto and the surrounding GTA. We provide 24/7 limousine rental services in Toronto and the surrounding GTA areas including: Ajax, Brampton, Mississauga, Oshawa, Pickering, Richmond Hill, Scarborough, Vaughan, Oakville, Milton, Burlington, Pickering, Whitby and Aurora. Our number one priority is our clients’ safety, hence all of our vehicles are impeccably maintained and surpass the regulatory safety requirements. Equally important to us is our commitment to providing outstanding customer service. Our chauffeurs are professionally trained in all aspects of driving, as well as client relations to ensure that you are treated with the utmost courtesy and respect during your transport with us. Our fleet includes Lincoln Town Cars, Chevrolet Suburban SUVs, 1964 Bentley Classics, 1964 Rolls Royce Classics, Stretch limos, SUV limousines, and Limo Party Buses. Our broad selection of luxury vehicles enables us to provide transport for 2-40 passengers. Give us a call and we will help you select the right vehicle for your needs and budget. We are available 24/7! “Thanks for making my tour a breeze. Your driver was remarkable – I had a fabulous conversation with him! Your cars are perfect too!! Thanks for doing such a fantastic job”. 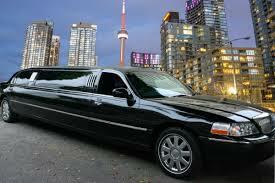 “We used this service on 4 occasions during our last trip to Toronto. We found our chauffeur to be honest, punctual and highly skilled in all aspects. I would never hesitate in using Toronto Limos 416 again on future trips or in recommending to our friends Garry and Kelvin in Brampton”.